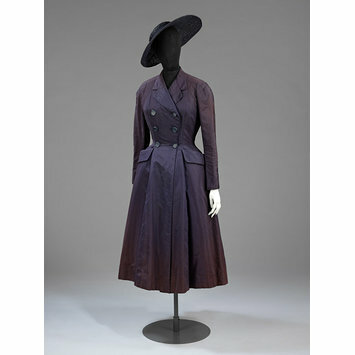 Coat of dark blue-purple silk. With sloping shoulders and a Magyar sleeve. Double-breasted, fastening with self-covered buttons. The narrow cinched waist flares into a full skirt with typical 'New Look' emphasis placed on the hips with both padding, and exaggerated pockets. 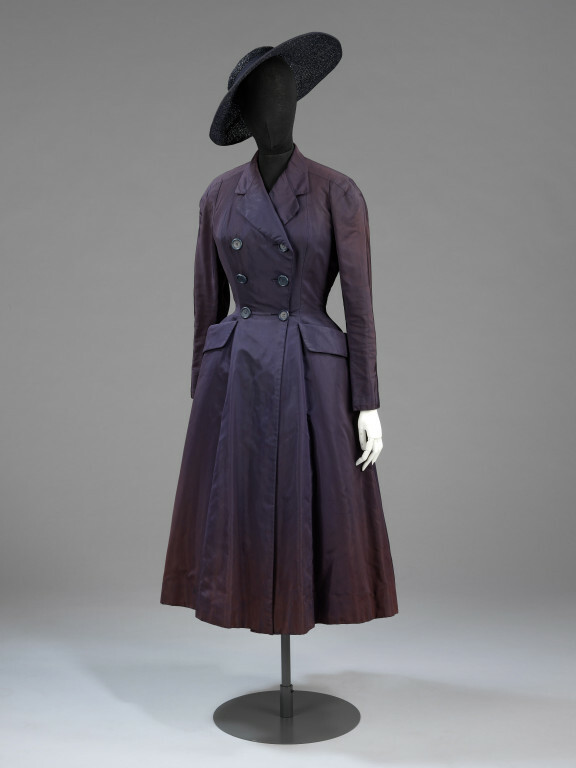 The complex artistry of Dior's garments demanded a high level of dressmaking skills. Dior revived traditional techniques of construction, using solid fabrics reinforced with taffeta or cambric.